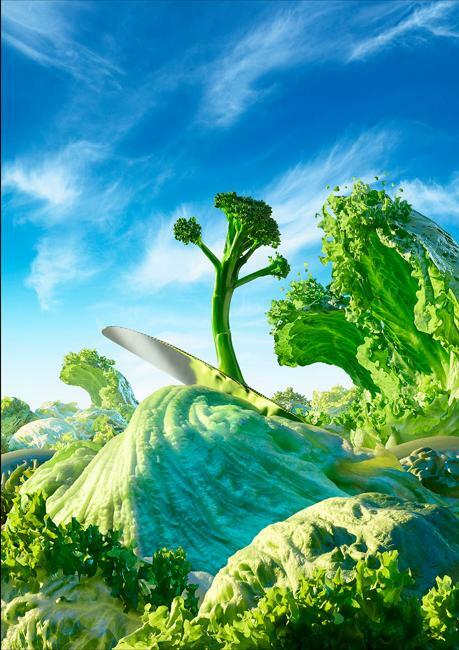 Edible landscapes on photographs by Carl Warner look realistic and colorful. 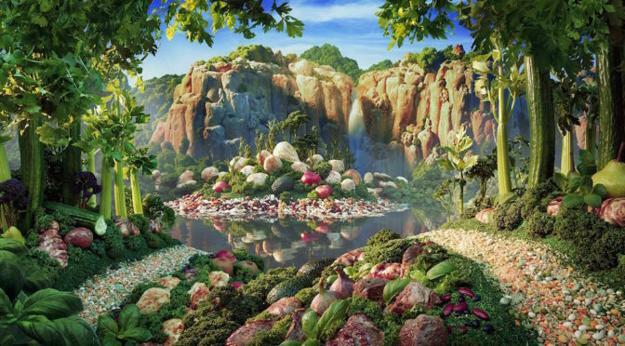 Using food as an art media is one of the latest trends in contemporary art and design. There is a vast choice of ingredients regarding colors and textures. 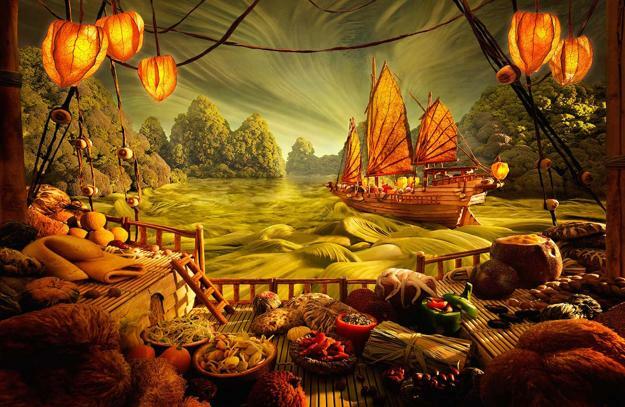 Enjoy the gallery of fantastic artworks and continue to play with your food, adding an artistic touch to your ordinary meals and holiday treats. 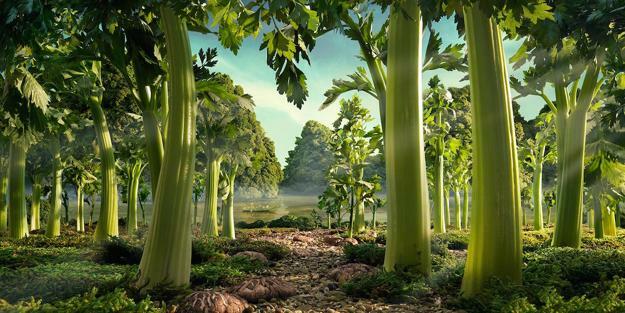 Photographer Carl Warner experiments with foods earning a very cool career as a food artist. 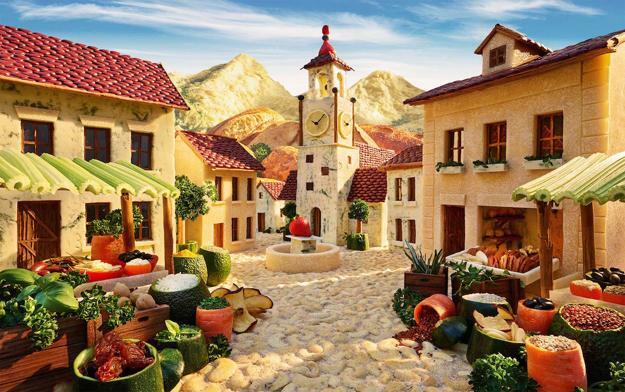 The fantastic Foodscapes made him world famous, bringing attention to the beautiful food art ideas. 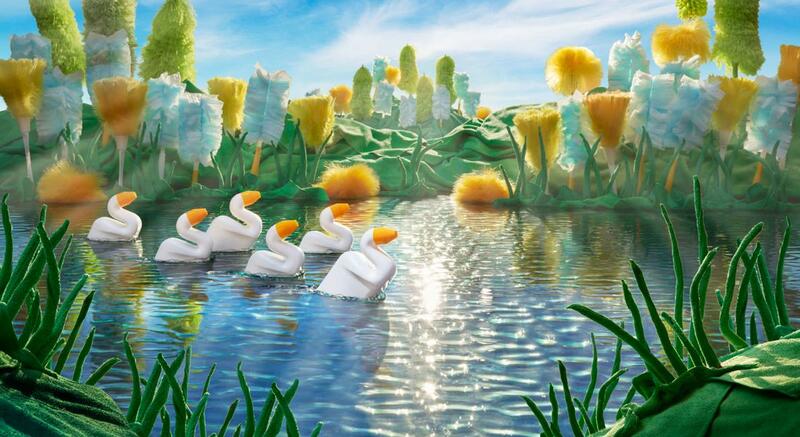 The realistic scenes are colorful and amusing. 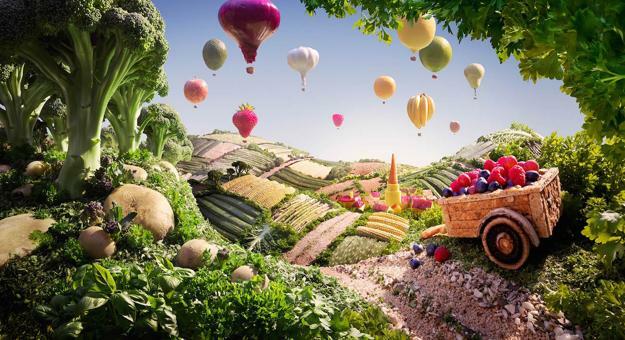 When planning a shoot, Warner says the whole process can take several days as the artist shoots the delicate scenes in layers to work quickly with fresh produce. 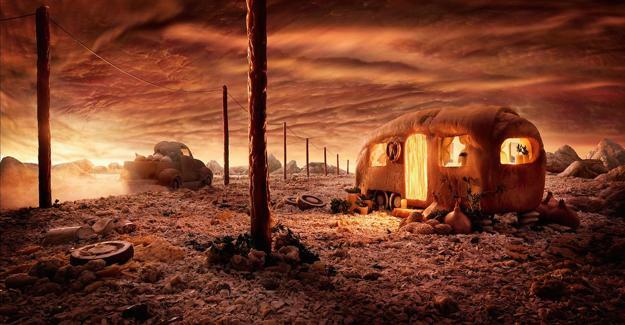 To see a selection of Warner’s work, check out the gallery of food art ideas to get surprised and inspired.